Physical characteristics: Gray crowned cranes are named for their characteristic crown of gold feathers. They have a pale gray neck and red throat wattles. The rest of their bodies are black, white, and gold in color. Gray crowned cranes are 39 to 43.3 inches tall (100 to 110 centimeters) and weigh anywhere from 6.6 to 8.8 pounds (3 to 4 kilograms). They have a wingspan of between 71 and 79 inches (180 to 200 centimeters). Geographic range: Gray crowned cranes are found in portions of eastern Africa. Habitat: Gray crowned cranes occupy both wetland and grassland habitats. Diet: Gray crowned cranes eat a wide variety of food items, but focus primarily on seeds and insects. Behavior and reproduction: Gray crowned cranes are frequently found in trees. 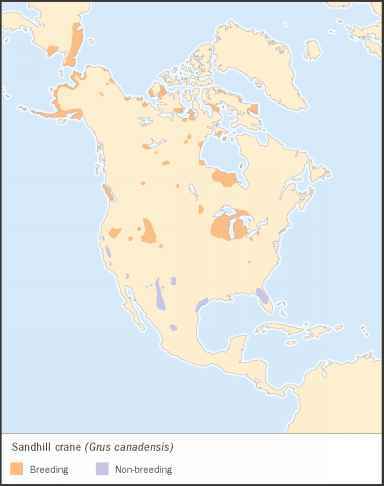 Individuals nest in wetland or grassland areas. Instead of building their own nests, gray crowned cranes frequently use ground nests that have been abandoned by other large bird species. In general two eggs are laid. 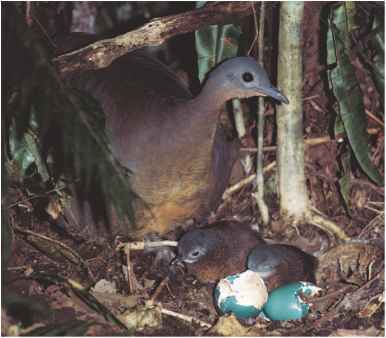 Both the male and female incubate, or sit on, the eggs. These hatch after about a month and the young are able to fly after two or three months. However, they may remain with their parents for as long as nine months. 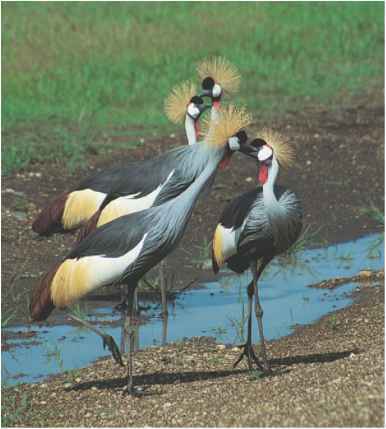 Gray crowned cranes and people: The gray crowned crane is the national bird of Uganda. It is also regarded as an important symbol in other parts of its range, including Kenya, Namibia, South Africa, and Zambia.